4 editions of Patrologia Orientalis found in the catalog. Add another edition? Are you sure you want to remove Patrologia Orientalis: Tomus Quartus from your list? 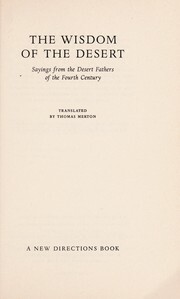 Published 1908 by Firmin-Didot et Cie in Paris . Written in Syriac, French, Ancient Greek, Ethiopic, English, Coptic. In various languages with French translations. January 12, 2017 Edited by i r firefly Edited without comment. January 12, 2017 Created by i r firefly Added new book.